The Van der Linde Gang is a central plot point of the original Red Dead Redemption; as John Marston, you're tasked by the government with eliminating the remaining members of the notorious band of outlaws you once were part of. But it turns out this clan of criminals was way bigger than many thought, and Red Dead Redemption 2, being set before the events of RDR, is your chance to meet the whole crew. There's a surprising amount of variety to these cutthroats, low-lifes, and misfits, and I admit reading about them has probably made me more interested in RDR 2 than anything else. I grew up on a farm so the fantasy of riding a horse and playing cowboy doesn't really appeal to me, but I can't say my childhood playtime imaginings ever involved having an ex-clergyman, a flamboyant conman, or a shrewd Austrian in my crew. But hey, that's what video games are for, right? Rockstar's open-world crime and thievery simulator goes on sale October 26, 2018. 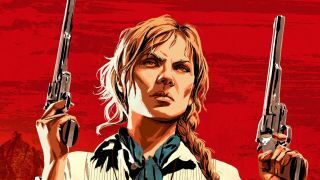 If you're having trouble passing the time, why not catch up on all the Red Dead Redemption 2 news we've gathered thus far, or read up on what makes RDR 2 different from GTA 5, according to the devs?